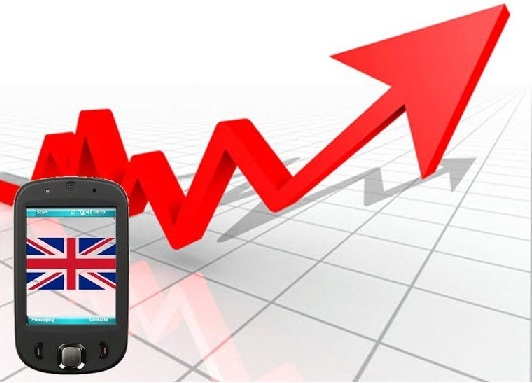 Mobile commerce has become one of the fastest growing sectors in the United Kingdom. The advent of this sector has had a powerful impact on website traffic across several industries, such as retail. More consumers have been turning to their mobile devices to make purchase online, which are done through e-commerce sites, and this trend is no longer going beyond the notice of advertisers, according to a report from Econsultancy, a leading market research firm. Advertisers in the United Kingdom are becoming increasingly aware of the prospects of mobile commerce. Econsultancy notes that approximately 58% of the country’s population owns a smart phone, with 19% owning a tablet of some kind. This presents a major opportunity for marketers to engage a massive demographic of consumers that have only seen mild engagement through mobile marketing initiatives. Focus on mobile commerce may be the key to reaching these consumers in an effective way. According to Econsultancy, mobile commerce in the United Kingdom grew by 300% between 2011 and 2012. Tablet owners seem to be the most interested in mobile commerce, with 69% of these people making purchases from their tablet devices each month throughout the country. Marketers have an opportunity to engage these consumers if they begin to shift focus toward e-commerce sites, many of which are currently lacking in terms of marketing clout and search engine optimization (SEO). SEO.org.uk, a marketing specialist based in the United Kingdom, notes that e-commerce sites will need to take their mobile compatibility into account if they want to continue seeing success in the changing world of commerce. Sites that are not optimized to be viewed on a mobile device are becoming an increasingly dubious liability, as more people are using their mobile devices to shop and purchase products. The firm also notes that looking into SEO strategies to reach a wider audience may be a good decision if companies want to stand out from the competition.